I know that line is associated with a different President of the United States (POTUS) than the one I have in mind but today is President’s day and I am thinking about many of the great ones, including President Kennedy. Perhaps Lincoln is the one whom I admire most although Roosevelt ranks very highly in my mind as well. Jefferson is of course the one I associate with the wine industry. Last year I wrote this post on Barboursville, a property he used to own. I could claim is somewhat related to Jefferson because of his love of all things French but in reality, I wanted some bubbly to celebrate the second season of my favorite soap opera, Downton Abbey. 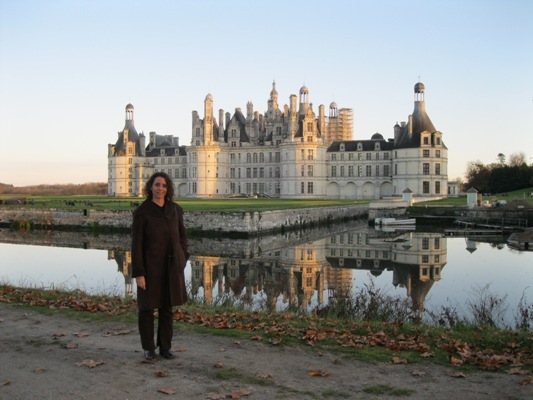 Additionally, I rediscovered the pleasures of the Loire on a recent trip in November of last year. Chenin Blanc and Cabernet Franc are two of my favorite grapes and I was glad to try a sparkler that contained the two. Back to the wine, this lovely, minerally cremant is made with 40% Chenin blanc, 20% Cabernet Franc, 20% Chardonnay, 20% Cabernet Sauvignon. It was long and persistent on the palate, delicate and perfect as an aperitif. The perlage was beautiful with a steady stream of fine, constant bubbles, signs of a good quality sparkler. AC- I totally agree. Have you ever been to Chambord??? Lovely little home :).